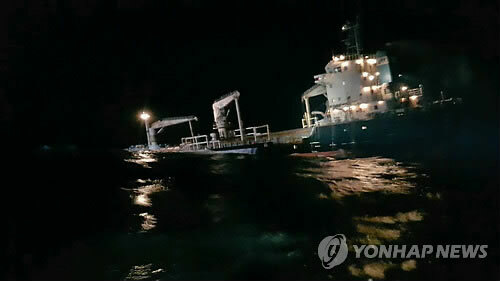 On March 4, the 104 meter long, 6532 dwt general cargo ship Eastern Amber collided with a sand carrier in the Yellow Sea off Gunsan, South Korea. The Eastern Amber sustained severe damage including water ingress into multiple holds. The 18 crew on board were evacuated by authorities. No reports of injuries. No further details reported.